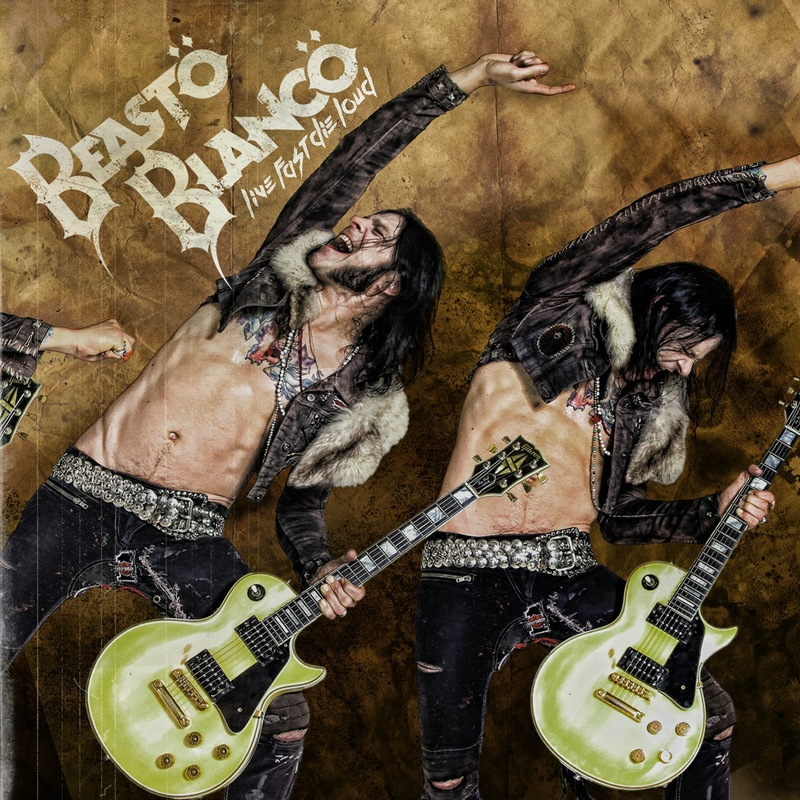 Discussions Magazine Music Blog: BEASTO BLANCO/Live Fast Die Loud: Available October 29th, 2013! BEASTO BLANCO/Live Fast Die Loud: Available October 29th, 2013! Johnny Depp: "What an honor to hear something as beastly and killer as this!!! It's truly, truly great and wonderfully kind of life affirming! Makes one feel ownership of their being!" Nicko McBrain (Iron Maiden): "Chuck has got himself a 'KIN' blazing band here. "LIVE FAST DIE LOUD" from Beasto Blanco is a solid piece and rockin' like there is no tomorrow! Well done me old china!" Alice Cooper: "Beasto Blanco to me is an East L.A 'Day Of The Dead' kind of hard rock band. They seem dangerous - don't stand too close, this is a band that I see exploding in the next few years. The "LIVE FAST DIE LOUD" video shows my grown daughter Calico crawling around like some sort of animal, which is of course, just how I remember her as a child!" Chuck Garric is modern day monster, one of the most talented and heaviest rock musicians I've ever worked with!" John Corabi: "I totally love "LIVE FAST DIE LOUD"! This is the real deal, it’s 100% raw energy from start to finish!" "LIVE FAST DIE LOUD" features Chuck Garric, Calico Cooper, Glen Sobel, Jonathan Mover, Chris Latham, Tiffany Lowe and more!